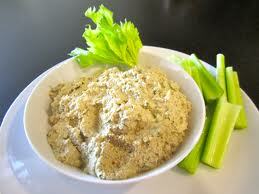 Home > Fresh Fish > FishBusterz Home Made Fish Dip 8oz. 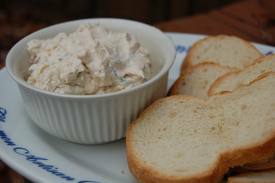 This delicious smoked fish dip is prepared at our plant. 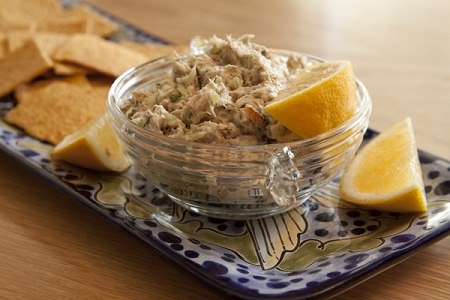 Smoked Fish, Onions (Red), Mayonnaise (Canola Oil, Whole Eggs, Water, Corn Syrup, Vinegar, Contains 2% or Less of Egg Yolks, Salt, Spice, Sugar, Flavoring, Lemon Juice Concentrate, Calcium Disodium EDTA (to Protect Flavor), Extractives of Paprika), Sour Cream, Sea Salt.